It’s one thing to see a beautiful piece of kids furniture in a gorgeous lifestyle picture, but it’s an entirely different thing trying to create the complete look. 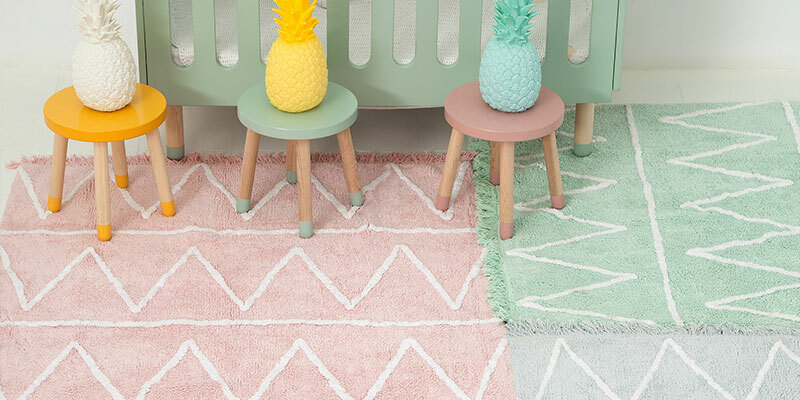 Here we give you some pastel decorating tips that will look great with Flexa Play furniture. Purchasing a full set of new furniture can be pricey, so by investing in at least one good furniture item you can save your budget by putting together your own decor ideas. 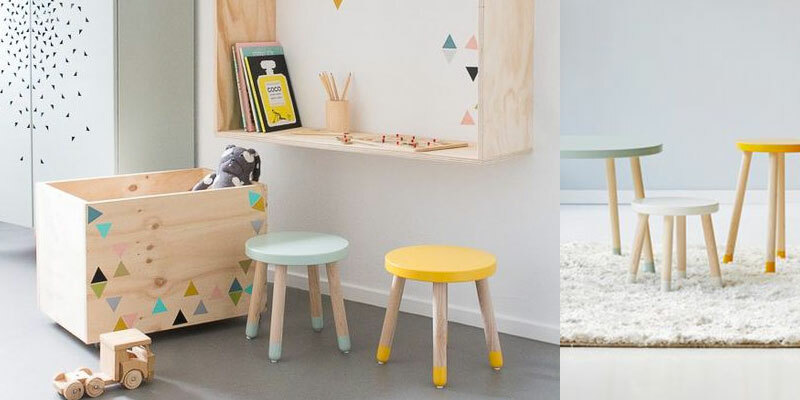 The Flexa stools are colourful and exciting – pair them with a homemade pine plywood desk and you have a playful setup at the price of a penny. Look out for some affordable decorations for the walls such as these birch ply house shadow boxes. Or make your own storage shelves by painting some wooden crates. Another cheap way to pick up on colour accents is by adding colourful wall decals & prints. 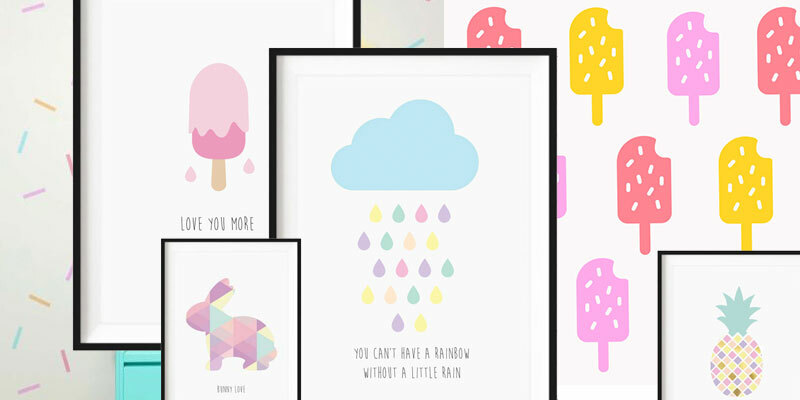 They’re a pretty affordable way to brighten up a kid’s room. Never forget the all import finishing touches such as adding soft rugs for your kids to play, read and relax on. Remember kids spend a lot of time on the floor. The Lorena Canals Hippy range matches Flexa furniture perfectly. 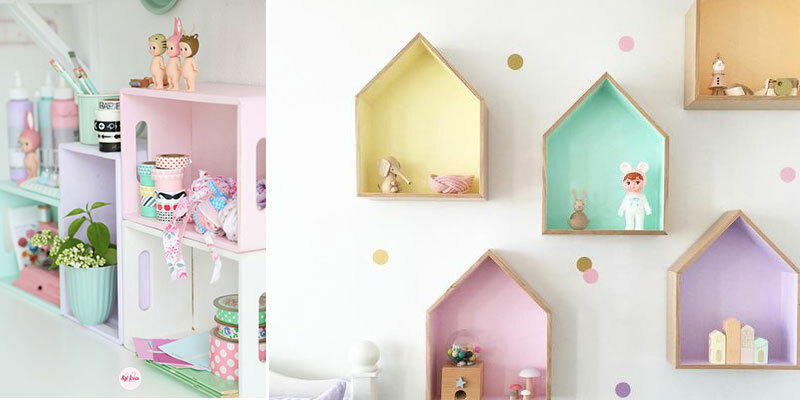 As a Mum of 3-year-old boy and girl twins, this is such a great example of how to style a shared bedroom. Not only do the colours complement each other so well, but the room looks matched, even though it is for both sexes. The shelving is perfect for storing toys and books, and they can accessorise it with their own items. I am drawn to the simplicity of the design, and contemporary style especially as we now live in a modern new build home. My tips for styling a twins’ shared room is to keep it simple, use colour schemes that complement each other and involve the children in the process – as they usually like to have a say in what they prefer! Check out the full Flexa range and kids decor ranges on our website.